The first two-door version of the SKODA Octavia left the main plant in Mlada Boleslav in January 1959. 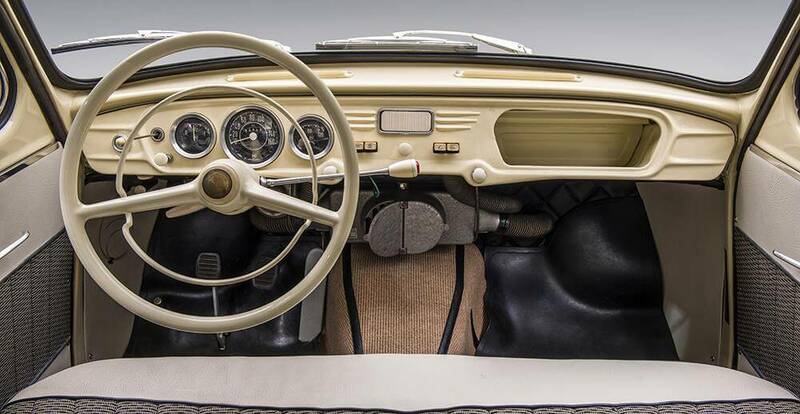 The top speed was 110km/h; the average consumption was 7.7 litres of petrol per 100 kilometres. The attractive, flowing body design was just as impressive as its driving characteristics. 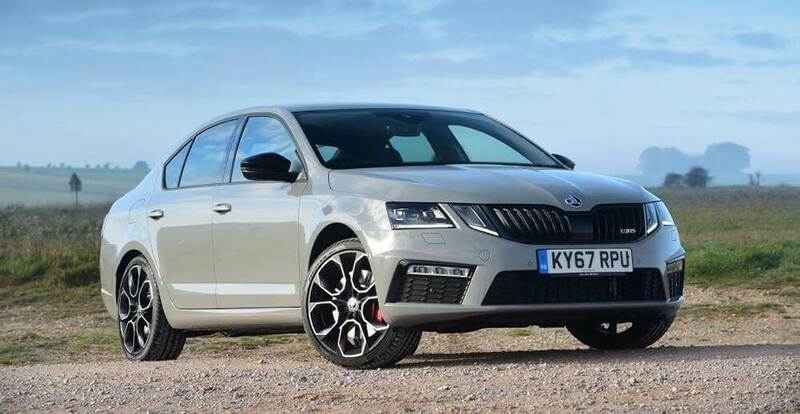 Technical innovations, including the from axle with coil springs and torsion bar stabiliser, gave the Octavia a high degree of ride comfort andeasy handling. The introduction of asymmetric headlamps during 1959 increased its saftey. SKODA presented a more powerful variant in 1959 with the Octavia Super, featuring a 1.2 litre engine and a peak output of 33kW. Demand for the Octavia model range rose sharply at home and abroad. On 10 March 1960, the sporty ŠKODA OCTAVIA Touring Sport (TS) was unveiled at the Geneva Motor Show, which boasted an engine output of 37kW (50hp). ŠKODA applied to the World Automobile Federation (FIA) for homologation of the TS for racing and rallying in the class of unmodified road vehicles – paving the way for the 130km/h two-door model in motor sport. 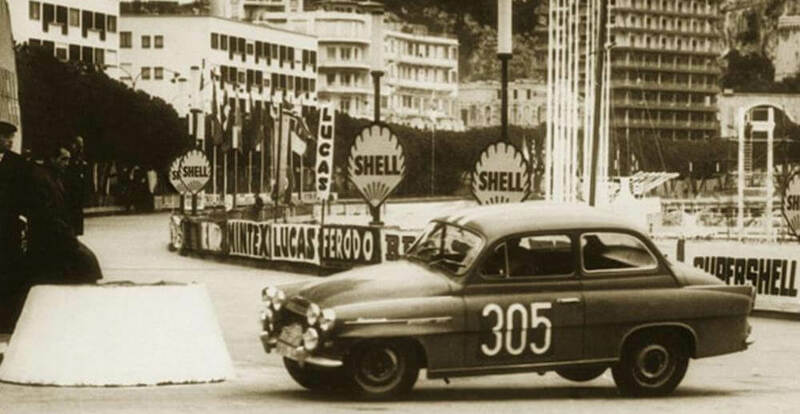 The OCTAVIA TS scored a hat-trick at the famous Monte Carlo Rally, with victories in1961,1962 and 1963. ŠKODA presented the OCTAVIA COMBI in Brno on 11 September 1960, featuring a two-piece, horizontally split tailgate. Despite its compact exterior dimensions, the vehicle comfortably seated five and provided 690 litres of boot space with a loading length of 0.965 metres. After folding down the rear backrests, the luggage compartment capacity increased to up to 1,050 litres. The two-door saloon was built until 1964; the last one – a grey OCTAVIA Super – rolled off the Mladá Boleslav production line on 11 April. The all-new ŠKODA 1000/1100 MB with a self-supporting body and rear engine would soon step up as its direct successor. The last OCTAVIA estate model left the Kvasiny line on 21 December 1971. 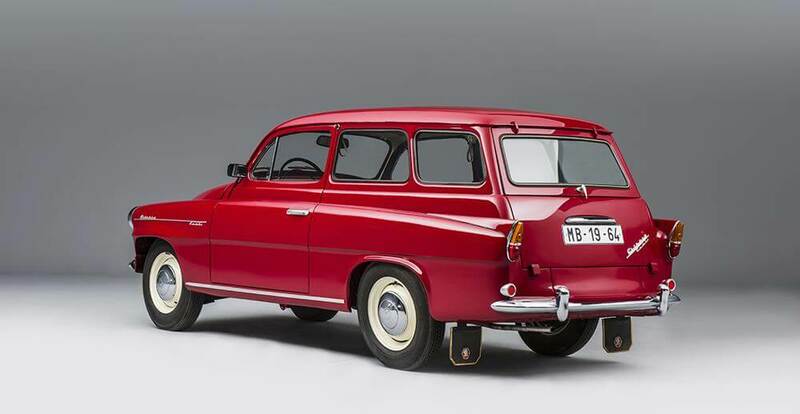 Between 1959 and 1971, a total of 360,000 ŠKODA OCTAVIAs were produced, including more than 54,000 estate versions. In 1992 – soon after ŠKODA joined forces with Volkswagen Group – work started on developing a completely new model based on the legendary type designation. On a modern technical platform, former Chief Designer Dirk van Braeckel and his team created a body with an unmistakable design. 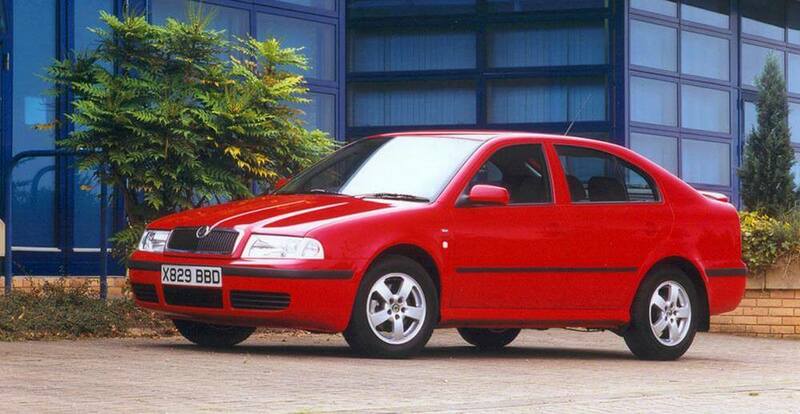 The OCTAVIA saloon debuted on 4 April 1996 and immediately gained international acclaim with a high level of active and passive safety. It also benefited from a boot volume of 528 to 1,328 litres. The OCTAVIA COMBI, which was even more spacious and especially successful on the European markets, was added to the range in March 1998; the first four-wheel-drive version was launched in 1999. More than 470,000 estates of the first generation OCTAVIA had been built by November 2010. This success was topped by the second generation ŠKODA OCTAVIA, which was built from 2004 to 2013 with 1.6 million saloons and 900,000 estates sold. The second-generation model boasted many technical innovations, including petrol engines with direct injection and direct-shift gearbox (DSG). Today, the third OCTAVIA generation forms the backbone of ŠKODA’s model range. It has been in production since November 2012 and was fully updated in February 2017. More than 2.5 million customers have already bought the third generation model.